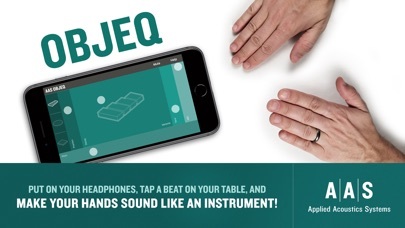 Who doesn’t like to improvise a beat on a table? 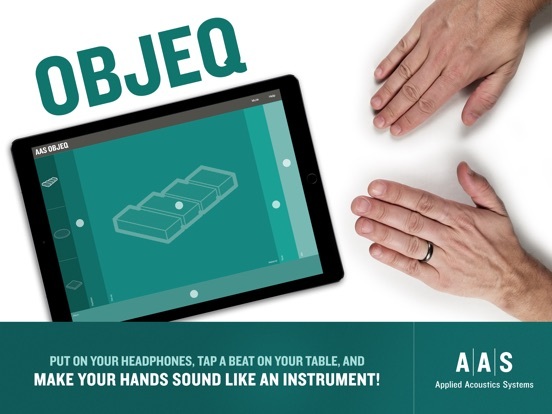 AAS Objeq transforms those beats to sound closer to a real percussion instrument. 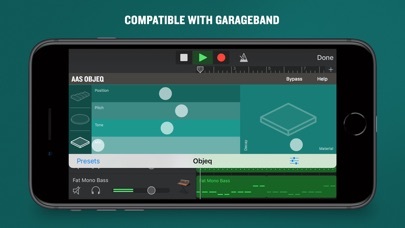 With the help of your device’s microphone and a pair of headphones, you’ll get tones reminiscent of congas, bongos, djembes, or any other resonant thing. 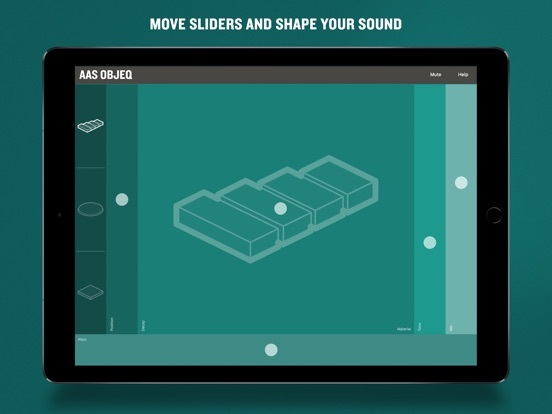 AAS Objeq offers beam, drumhead, and plate resonator types which you can customize via pitch, material, decay, and tone controls. 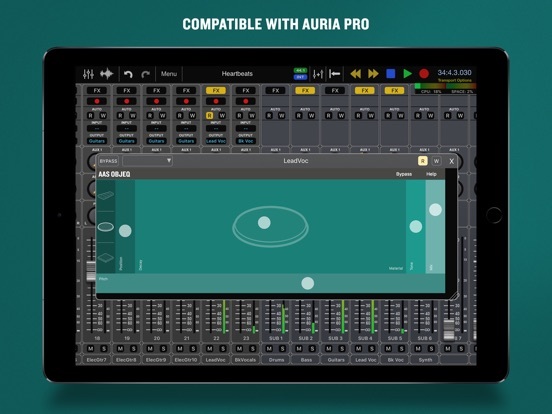 Mix in your original signal and tweak until you hear something you like—slide dots, experiment, and have fun! 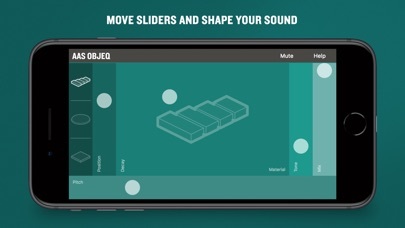 If you’re addicted to tapping your hands everywhere, Objeq will become your new rhythm companion! 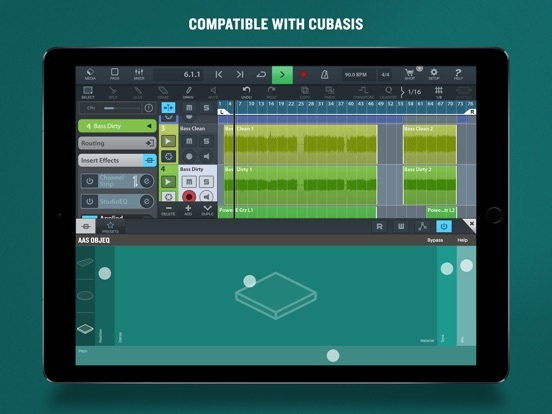 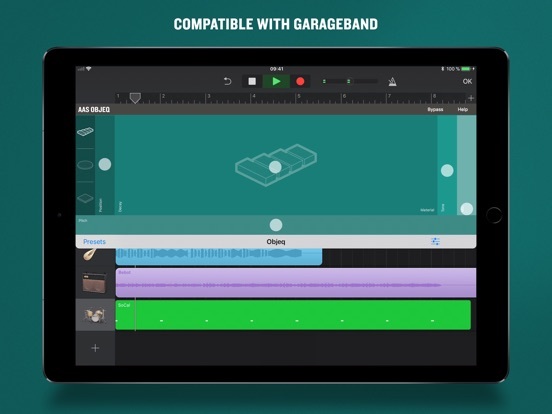 AAS Objeq will also show up as a plug-in in any AUv3 (Audio Unit v3) compatible DAW such as GarageBand, Cubasis, Auria, and AudioBus 3. 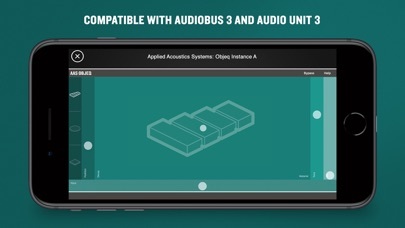 Developer: Applied Acoustics Systems DVM Inc.